During the course of this week you probably have seen or will see social media posts aplenty regarding the Chili Bowl Nationals. 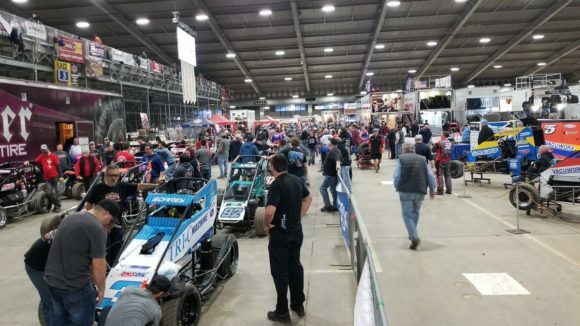 The annual event held inside the River Spirit Expo Center each January for Midget Sprint Cars attracts attention from all over the racing world. Fans and competitors alike from all disciplines of the sport descend on Tulsa, Oklahoma every year to take in the racing action and to be a part of the atmosphere surrounding the week-long event. 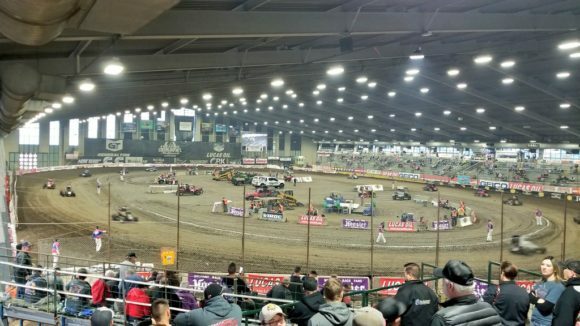 While the racing action is indeed a major part of the draw to the Chili Bowl Nationals, it’s the whole event that serves to keep loyal patrons coming back while also attracting new fans. NASCAR could learn a great deal from events such as the Chili Bowl Nationals and the Gateway Nationals for Dirt Late Models and Modifieds inside the dome that once housed the NFL’s Rams franchise in St. Louis, Missouri. Of course, the previous administration that once reigned inside the corporate offices in Daytona Beach would take a statement such as that to mean that NASCAR needs and indoor race or to race on dirt. But that is not what is meant at all. NASCAR needs events, not just races. There needs to be something that sets each one apart from the other. The Chili Bowl and the Gateway Nationals draw so much interest from all over the racing world because they are unique events. There is something about those races that make them stand out from the others and it’s not just because they are held indoors. There are plenty of other Midget Sprint Car races to go to throughout the racing season, but this one is unique. The carnival atmosphere in Tulsa makes the Chili Bowl special. There is a reason to go because it isn’t like those other races. 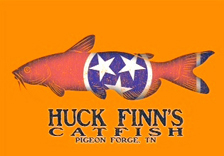 The time of year, the location, the venue, and the atmosphere are all part of the draw. Something that works against NASCAR is that so many of its races seem to be no different from the others. Seriously, what is the difference between a Monster Energy NASCAR Cup Series race at Kansas Speedway or Chicagoland Speedway? Is there a big difference between a race at Auto Club Speedway in California versus a race at Michigan International Speedway? NASCAR and Charlotte Motor Speedway are to be commended for creating a new experience for competitors and fans last fall when the second race of the year on that track was run on the road course, or ‘Roval’, instead of the previously used course. More out-of-the-box type thinking would serve the sport well. And that doesn’t mean another change to the points system or another tweak of the playoff. After all, this is a sport that saw the television ratings for the vast majority of its races in 2019 decline significantly. Newly appointed NASCAR president Steve Phelps recently said that “Everything’s on the table” in terms of ideas to turn the tide of lowering TV ratings and declining attendance. Mid-week races, shorter races, a tighter schedule, and double-header weekends might be a part of NASCAR’s future. This writer believes that simply offering races that are “events” and not just continually doling out the same thing week after week would be a great place to start. Some tracks such as Daytona International Speedway and Las Vegas Motor Speedway have already taken steps to create more of an atmosphere than simply providing a race track. But even more is needed going forward. Will 2019 be Chase Elliott’s Championship Year?